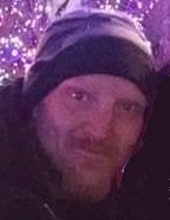 Jacob H. Jordan age 41 of Janesville passed away unexpectedly on Thursday, March 21, 2019. He was born on March 16, 1978 in Wisconsin Rapids, WI the son of Bruce and Carolyn (Beyer) Jordan. He was married on August 28, 2015 to the former Tonia Dederich. Survivors include his wife, Tonia Jordan, 2 children, Jaden and Gavin Jordan, 2 brothers, Justin (Jess) Jordan, Jason (Angie) Jordan, other family and friends. He was preceded in death by his parents, Bruce and Carolyn Jordan. A celebration of life gathering will be announced at a later date. Online condolences available at www.staffordfuneralhomes.com. The Richardson-Stafford Funeral Home in Spring Green is assisting the family with the arrangements. "Email Address" would like to share the life celebration of Jacob H. Jordan. Click on the "link" to go to share a favorite memory or leave a condolence message for the family.